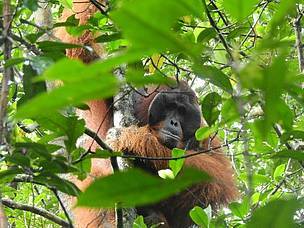 WWF has long been working on the conservation of Orangutan especially in Central Kalimantan. WWF joined force in the initiation of The Sebangau National Park (SNP) in the 2000’s and becoming close partner ever since. The Orangutan population in protected forest such as Sebangau is relatively save and viable due to several approaches by stakeholders and the regulation that guarantee the safety of Orangutan population. Nonetheless, the population of Orangutan also spreads across Central Kalimantan outside protected area such as Sebangau National Park and Bukit Baka Bukit Raya National Park (BBBRNP), where land conversion, concession, forest management units and community land exit. This condition provides a different constrains for human and wildlife conflict especially Orangutan which habitat has been gradually decreased. Thus, it’s necessary to connect Orangutan habitat to ensure the sustainability of Orangutan population. WWF then started the initiation approach in connecting wildlife especially key species such as Orangutan through a corridor between SNP with the characteristics of peat swamp forest and BBBRNP which is a high land type of forest. Between those two national parks mentioned above there is around 115.000 hectares which consists of various types of forest such as peat swamp forest, heath forest, and low land forest that also include Forest Management Units (FMUs) III, XV, and XVII. 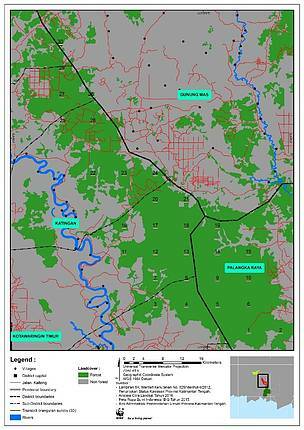 These areas are designed to become wild life corridor in the future. The initiation of wildlife corridor is in line with regulation of Directorate General Conservation of Natural Resources and Ecosystems No.8, 2016 on Guidelines of Essential Ecosystem Wildlife Corridor determination. Based on the regulation, preliminary information of socio economy and ecology of potential corridor is mandatory. Accordingly, WWF collaborated with various experts on vegetation, mammals, birds, flying insects, and Orangutan carried out the survey that started since December 2017 until June 2018. The journey was nothing but a daunting experience. The team that consists around a dozen people strolled across peat swamp forest, small palm oil plantation, and sometimes even illegal mining accompanied by suspicious gaze toward their activities from the illegal miners. During the survey they walked through rivers, peat, and hill, only resting to build a simple camp for the team to rest during night time. They often found remnant of illegal mining, trail of excavator used to open mining area, and palm oil plantation. Trace of horse footprint indicated that illegal logging activities in several places on the location survey. Local community said that they often see Orangutan around mining activities and area that will be converted into palm oil plantation. 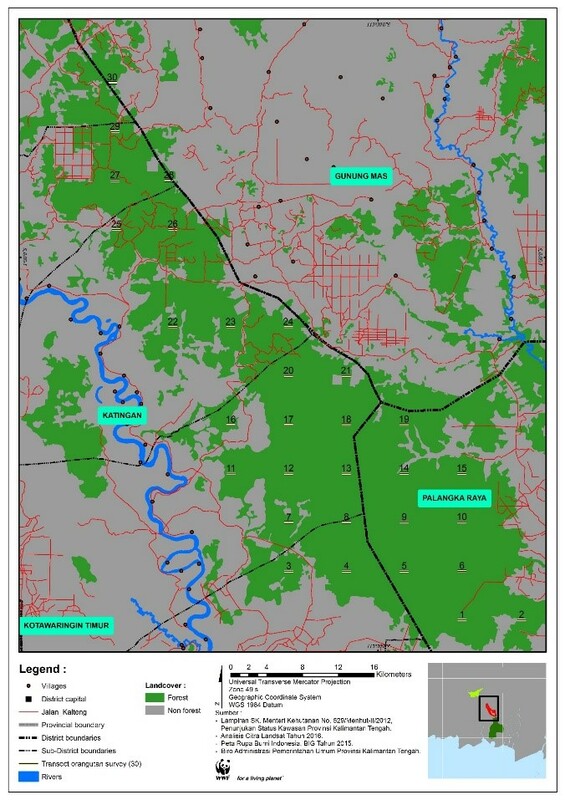 In total, around 22 transects have been surveyed in the corridor which spread across Katingan district, Palangka Raya city, and Gunung Mas district. 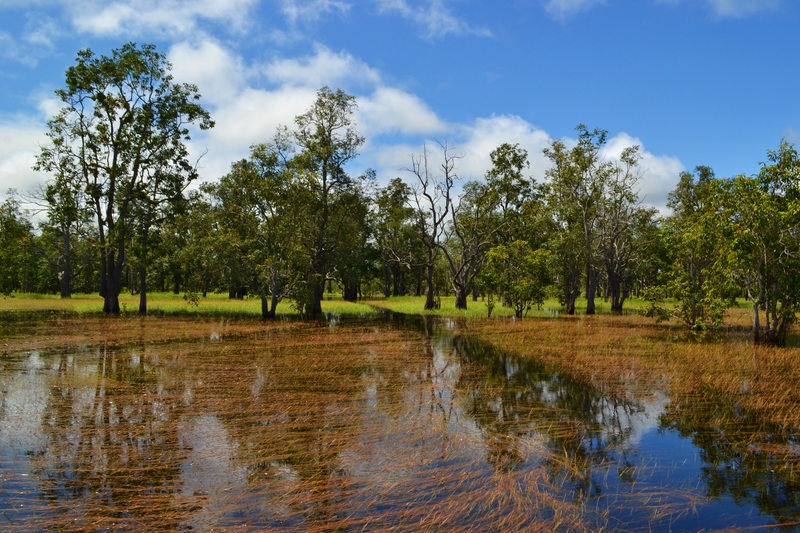 The result of the survey found 252 types of plants, in which 80 types of plants are either protected, endemic or endangered species. The survey results also found 106 types of birds, 17 types of mammals-primates, 23 types of dragonflies, and 21 types of butterflies. 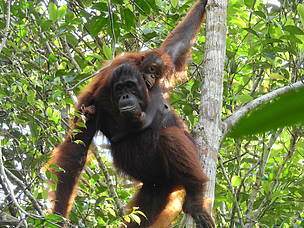 Meanwhile, the population of Orangutan is estimated around 700 that live in the potential corridor. The Orangutan density is proximately around 0,59 Orangutan/km (p = 0,89; r = 1,16; t = 365). The potential corridor that has been surveyed is easy to be accessed from every direction, that is why the threat looming towards the area is also greater. Based on the survey result, moving forward there’s crucial need on intensifying safeguarding potential corridor area due to the fact that it’s a home for diverse biodiversity which many of them are either protected or threatened which are endemic to Borneo. Then, area protection needed a strong law enforcement towards illegal activities. Moreover, to address socio economy of the local people, a sustainable approach on area utilization is mandatory while at the same time hold up to the values of protection, preservation and cultural identity. In summarize, the ideal scheme for the viability of Orangutan population within the potential corridor is to establish an Essential Ecosystem Area that will act as an umbrella for wild life corridor and other initiation for sustainable area utilization that will added economic value for the local people that live surrounding the area. In order to achieve the goal, WWF needs to collaborate with many parties such as government, private sectors, NGO, and local community and other relevant stakeholders. This collaborative approach initiation will create a strong commitment among stakeholders towards sustainable ecosystem that will keep human and wildlife live in harmony together.